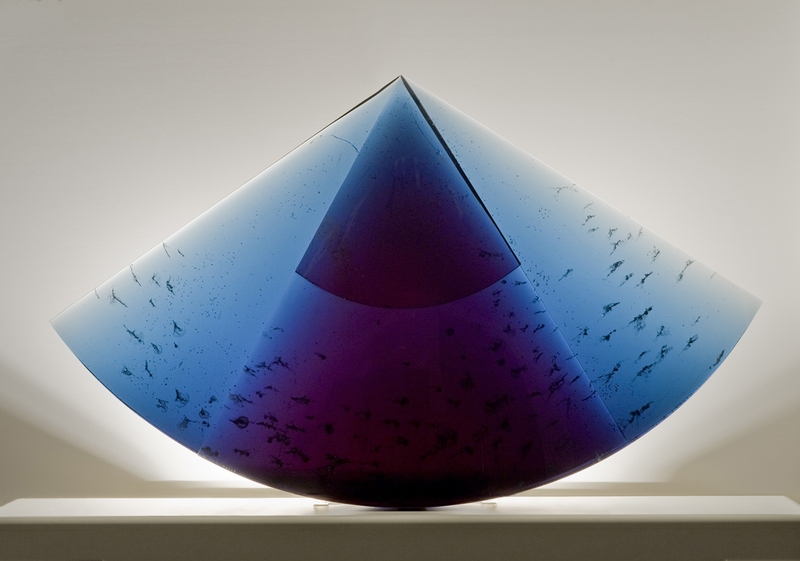 Next year marks the 50th anniversary of the development of the contemporary glass art, also known as studio glass. 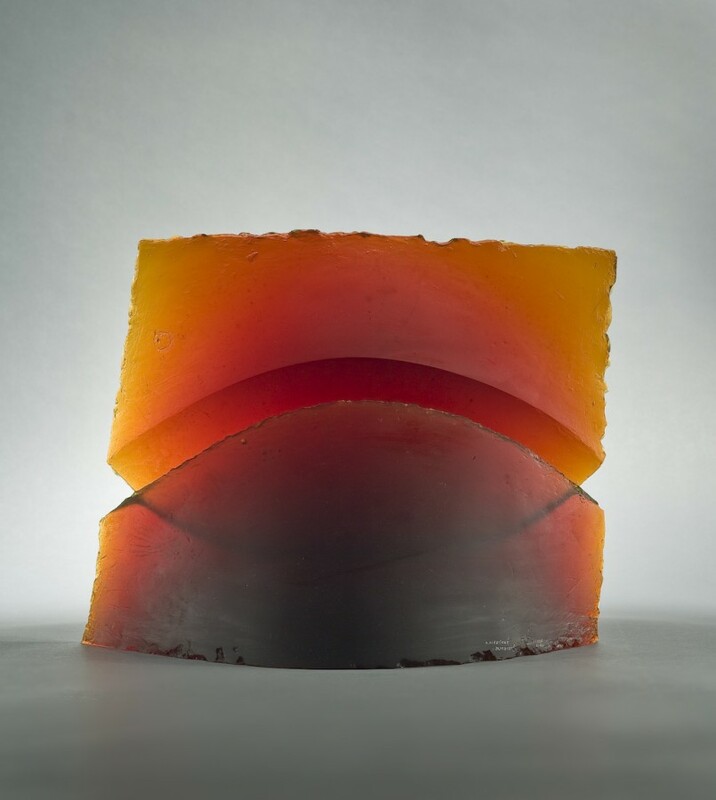 To celebrate this milestone and recognize studio glass artists, the Art Alliance for Contemporary Glass (AACG) has initiated more than 100 glass art demonstrations, lectures and exhibitions in museums, galleries, universities and art centers across the country to take place throughout 2012. American Studio Glass art began with two glass workshops held at the Toledo Museum of Art in 1962. The workshops were taught by Harvey K. Littleton, who, along with scientist Dominick Labino, introduced a small furnace built for glassworking that made it possible for individual artists to work in independent studios. 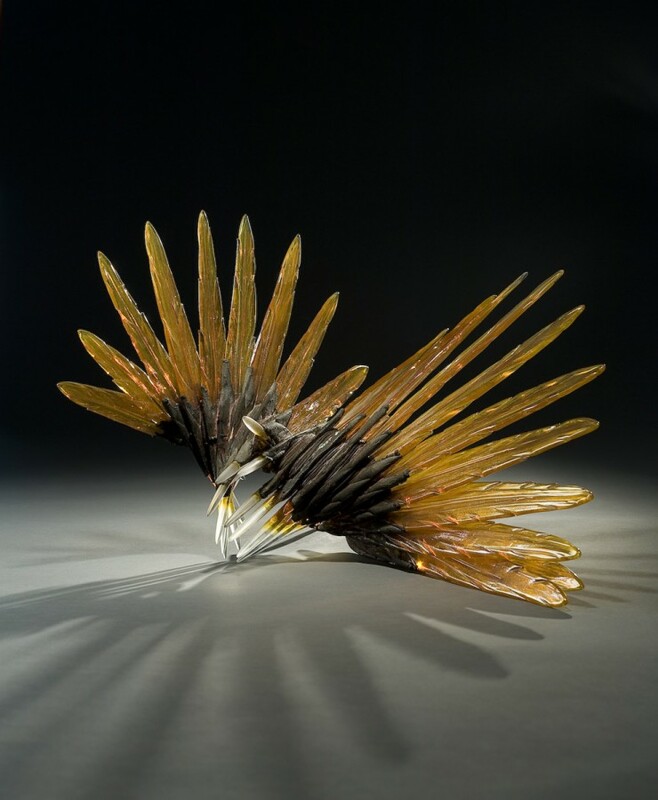 Glass programs were then established by Littleton at the University of Wisconsin, at the California College of Arts and Craft by Marvin Lipofsky, and later at the Rhode Island School of Design (RISD), led by artist Dale Chihuly, to name but a few. Since 1962 the art of glass has been incorporated into art education, museums, personal collections and many indoor and outdoor installations. 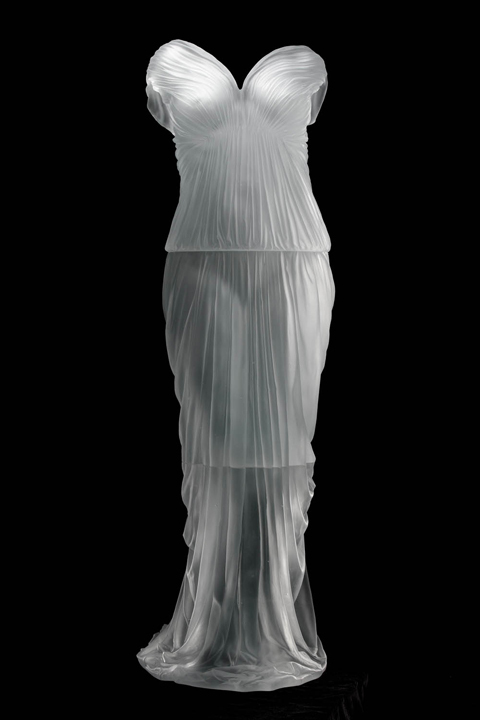 Glass is now accepted as an important medium within fine art. The AACG Grants Committee is accepting grant requests for 2012 anniversary projects. The next deadline is September 1, 2012. Q: Why is AACG celebrating studio glass art in 2012? A: The year 2012 marks the official 50th anniversary of the development of contemporary glass in the United States. Q: What will be going on during the events nationwide? A: Participating museums, galleries, art centers and other venues are inviting everyone to enjoy contemporary glass art and experience the passion and history behind the glass as art through demonstrations, lectures and exhibits. While each celebration occasion will be different, all events are guaranteed to be among the best places to see, learn about and perhaps purchase glass art. Q: Who are the artists and organizations participating in this year-long, nationwide celebration? A: A listing of 2012 glass art events is ever changing and as information is finalized can be found online at [url=http:///event/2012-celebration]http:///event/2012-celebration[/url]. A: AACG is a not-for-profit organization whose mission is to further the development and appreciation of art made from glass. AACG informs the public, including collectors, critics and curators, by encouraging and supporting museum and art center glass exhibitions and public programs, and regional collector groups. AACG is an organization consisting of a board and advisory board that meet together bi-annually. Q: Who Belongs to AACG? A: Members are primarily collectors of contemporary glass, mostly from North America but also from Europe, Australia and New Zealand, among other international locales. AACG members also include art galleries, artists, schools and museums. 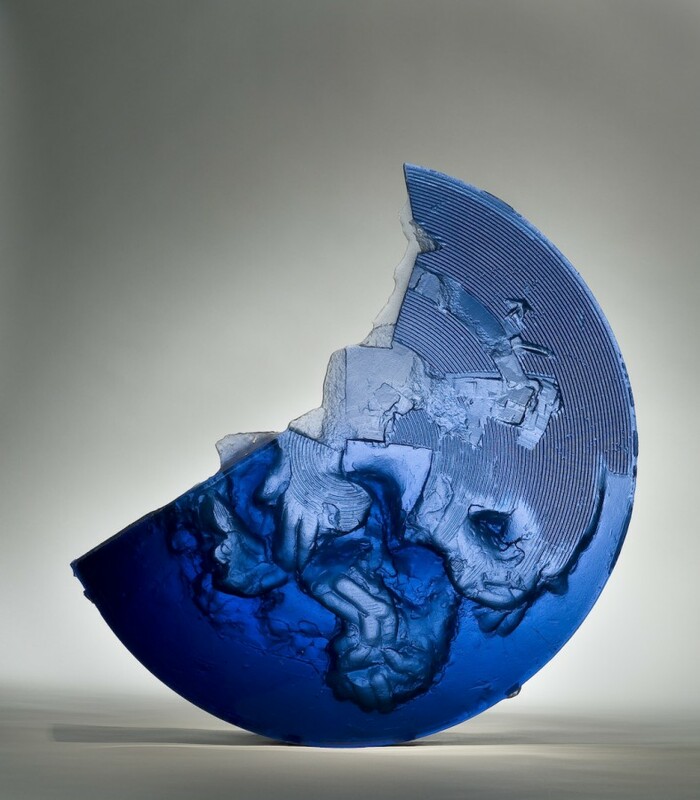 Membership is open to anyone interested in contemporary glass. Q: Where can I find more information about AACG? A: For more information including grant applications, online galleries, artist profiles, upcoming events, and more, please visit [url=http://]http://[/url].